We are super duper excited that our favourite foreign gospel band is coming to Nigeria. We don’t know how the event organizers managed it, considering that it’s been our collective clamour for a long time now. Virtually every foreign gospel artiste has been to our shores courtesy The Experience, House on The Rock’s mega end of year gospel concert, but Hillsong, never. And for that, we say a hearty God bless you to JoshuaVille, the youth expression of Redeemed Christian Church of God and the organizers of Night of Worship. 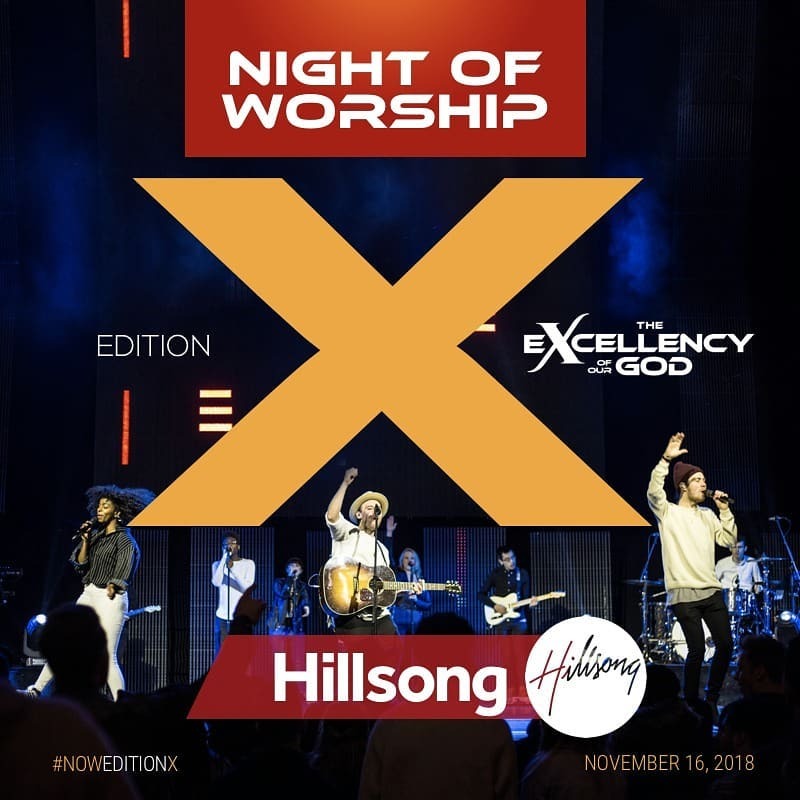 Night of Worship will be taking place on November 16, 2018. The venue is yet to be announced but seeing as Hillsong is coming, they better make more room. It’s doubtful last year’s venue (Grenadines Open Ground, Landmark Road, off Ligali Ayorinde Street) will take the crush of human beings who’ll like to see their faves play live this year. It’s also not clear which of the Hillsong music bands will be coming- United or Young and Free, ’cause it will be an incredible pleasure and honour to see Darlene Zschech live. Whoever shows up sha, we are totally pumped!